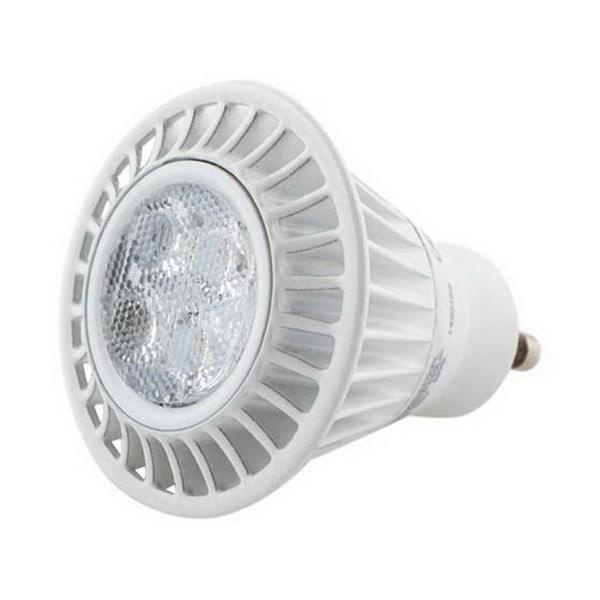 TCP Elite 7-Watt MR-16 LED lamp delivers 340-Lumens of bright and crisp light. This lamp has voltage rating of 120-Volts at 50/60-Hz. It has GU10 type base. Lamp features color temperature of 2700K and color rendering index of 82. 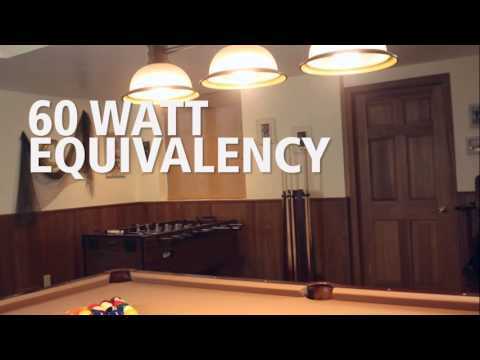 Dimmable lamp offers smooth and uniform dimming. It radiates warm white light to the surrounding. Long life lamp offers average life of 25000 hours. It measures 2-Inch Dia x 2.5-Inch. It emits or distributes light at beam angle of 40-degree. Lamp has 800 cd center beam candle power. It has temperature range of -30 to 40 deg C. This LED lamp is equivalent to 35-Watt incandescent lamp and consumes up to 85% less energy than halogen alternatives. It is suitable for recessed downlights, track lights, display lights and outdoor fixtures. LED Lamp is cULus listed and Energy Star certified.